We made it to Friday! Any plans this weekend? Getting that grill going I hope? I still haven’t bought my dream grill , but I am hoping I will be able to soon! It occurred to me a couple of weeks ago that I referenced my go-to chicken seasoning in a blog post, but that you guys don’t know what that is! This is the best chicken seasoning, and what I use on a weekly basis if I am making chicken. It also happens to be the seasoning blend my mom uses for her often requested grilled chicken wings! So I am sharing her secret with the world! Sorry, mom. This seasoning has a great flavor, especially if you’re a fan of rosemary, like me! It isn’t too salty, and the flavors go really well with a lot of different sides. 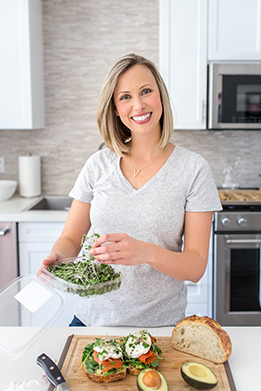 Plus, it makes great leftovers to throw on salads and in wraps for easy lunches and dinners during the week. 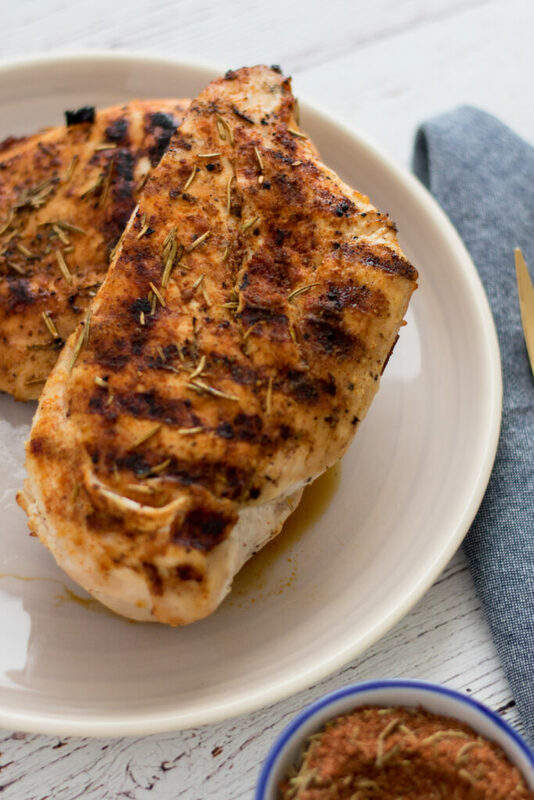 I prefer grilling my chicken, but if you don’t have access to a grill, you can just as easily roast it in the oven! The great thing about making your own seasoning, is that you’re always ready when you want to make chicken! I started keeping old spice containers so I can fill them with my favorite seasoning blends, like this one! Combine all ingredients in a small bowl. Store in a small jar, or old spice shaker. To prepare chicken - wash chicken in cold running water and pat dry. Brush or rub with avocado or olive oil. Sprinkle and coat each side with seasoning and rub to evenly distribute before cooking.